You can now access over 30 free reading plans and devotionals from Paul Tripp, Jen Wilkin, Kevin DeYoung, Nancy Guthrie, and many others—all right within the app. The app now supports split screen for viewing personal notes, reading plans, highlights, favorites, and history on both iPhone and iPad. Users who have signed up for a paid subscription plan via esv.org now have access to all of their content, including the ESV Study Bible, ESV Archaeology Study Bible, Preaching the Word commentary series, and more. 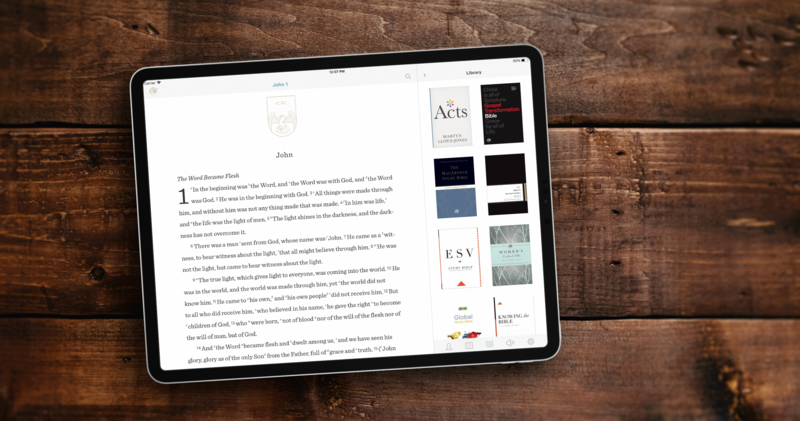 Finally, this new update has optimized the ESV Bible app for all iOS versions and devices—ensuring the best Bible reading experience possible. The ESV Bible app for iOS was designed to be the most beautiful and intuitive Bible app available. The app includes free resources such as interactive reading plans, audio streaming, and full access to the ESV Global Study Bible. Download the free ESV Bible app today!